Every day, information access systems mediate our experience of the world beyond our immediate senses. Google helps us find what we seek, Amazon and Netflix recommend things for us to buy and watch, Apple News gives us the day's events, and BuzzFeed guides us to related articles. These systems deliver immense value, but also have profound influence over how we experience information and the resources and perspectives we see. I will report on several projects using data analysis and simulation to illuminate the ways in which the algorithms underlying these systems, such as collaborative filters, respond to various human factors reflected in the input and response data that drive them. We probe how recommender system experiments respond to systematically missing data that bias the experimental results, how they interact with patterns in their input that may reflect historical or ongoing discrimination, and other individual and social human concerns. I will also discuss system-building and experimental work we are engaged in to understand how users perceive and interact with the recommendation and retrieval systems they use, and to develop novel systems that empower users to leverage information to improve their lives and work. Our current project in this space is tool that helps K–12 teachers find new readings to enhance their classroom instruction. All these projects are a part of our broad vision to ensure information systems are responsive to the needs and well-being of the people they affect. Dr. Michael Ekstrand is an assistant professor in the Department of Computer Science at Boise State University, where he co-directs the People and Information Research Team (PIReT, pronounced ‘pirate’). He studies human-computer interaction and artificial intelligence, working to ensure information access systems — particularly recommender systems — are good for the people they affect. 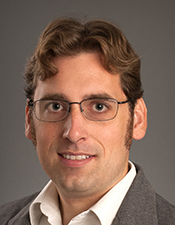 He received his Ph.D in 2014 from the University of Minnesota, building tools reproducible research and examining user-relevant differences in recommender algorithms with the GroupLens research group; leads the LensKit open-source software project for enabling high-velocity reproducible research in recommender systems; and co-created the Recommender Systems specialization on Coursera with Joseph A. Konstan from the University of Minnesota. In 2018 he receieved the NSF CAREER award to fund his study of recommender system response to biases in input data and experimental protocols and their projected impact under various technical and sociological conditions.